of aspirants for the job. The search ended when he tested Dexter. Valentinos real start in his career came when June Mathis, famous Hollywood scenarist of the period, chose him for a role in “The Four Horsemen of the Apocalypse” one of his best pictures. His popularity was instant. He went on to do “Blood and Sand” and “The Sheik” and the “Son of the Sheik” his last picture. The Valentino films have never been really forgotten. 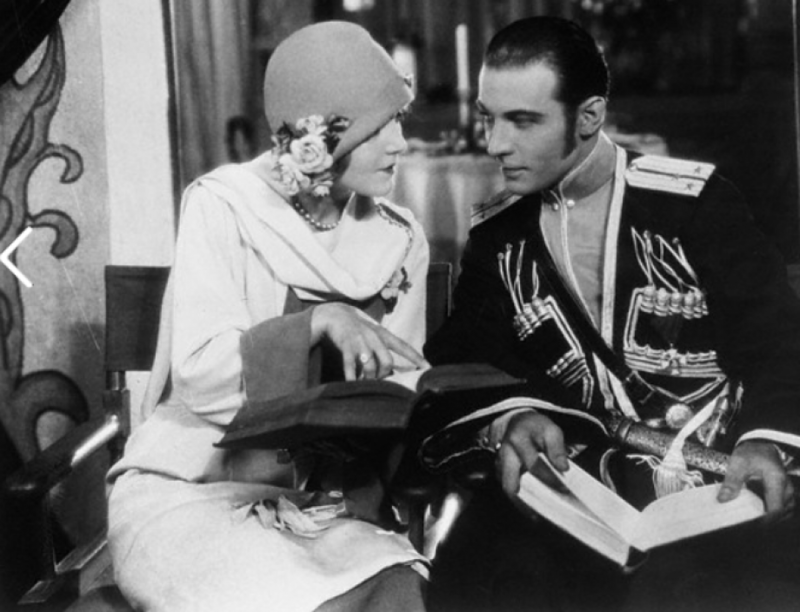 From time to time, one or the other of them is revived somewhere, and last year, when “The Golden Twenties” a March of Time Production, was presented by RKO one of the sequences showed Valentino and his leading lady Vilma Banky, in a scene from “The Son of the Sheik”. Even by present-day standards, these films show the star of a quarter of a century ago to have been dashing, handsome and talented. Dexter who was not suppose to see any of the orginal films while working on “Valentino” nevertheless managed to catch two of them, “The Four Horsemen” and The Sheik. Dexter was impressed, “Valentino’s technique” he says now, was 20 years ahead of his time. He consistently underplayed, but you are always conscious of a terrific force held back, and in perfect control. there was something pantherlike about him”. He hopes that he has projected some of the qualities he admired in Valentino in his own motion picture role.